in our wonderful folk traditions. Winter and birth of the Spring. of the land and event or own fertility! part in this wonderful tradition. the The Company of the Green Man. place around Beltane or May Day. 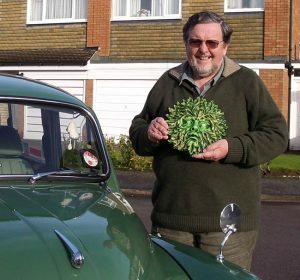 Green Man, or “Jack in the Green”. Jack varies in his appearance, but if normally a foliage and flora adorned being. and better times with the arrival of summer. young Maidens fertility as well! 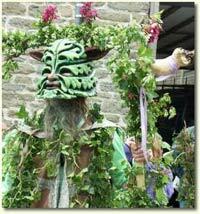 such as the popular Wassailing in the early part of the year, around 12th night. This involves ceremonies centered around Orchards and Apple Trees. and to drive away evil spirits. This is also a good opportunity to sample some of the previous years cider! I am happy to give them a mention on these pages.